Sokol Construction LLC, is a Vancouver, WA based family owned business since 2002! 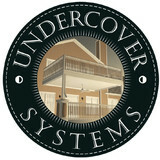 We specialize in decks, fences, gazebos, patio covers, aluminum railings and awnings. We have wide experience of working with many different kinds of materials starting with cedar and mahogany, finishing with composite materials and aluminum. Two years in a row, we have participated in the Street of Dreams event. We take pride in our work, providing top quality and at the same time offering competitive pricing. We'd love to hear about your project, give us a call today! Family Owned Business since 1994 specializing in the installation Fence, Decks & Patio Covers. For anyone who has had the opportunity of having a deck or patio cover built by Pioneer, you know our crew. John and Rick have many years between the two of them in the construction line of work. They are our #1 Deck/Patio Cover Crew and for many customers, they become family during the time they work on your project. Stainless Cable Solutions manufactures stainless and aluminum cable railing systems. SCS also provides architectural stainless cable railing assemblies for stainless cable infill through wood framing and stainless trellis systems. Our greenhouse kits use the finest redwood available – All Clear Heart Redwood – and American made glass. Excellent materials make our greenhouses naturally durable and beautiful. We can customize any of our kits to meet your specific needs and location. We ship throughout the United States. We are a small, family-owned business that handcrafts the highest quality greenhouse kits using American grown and made materials in our factory in Portland, Oregon. Greenhouses of various sizes and styles are available – lean-to and freestanding greenhouses, large and small. Questions? Contact us via email (sturdi@sturdi-built.com) or phone (503) 244-4100. (Office hours are 8am to 4:30pm, Monday through Friday, weekends by appointment.) We provide personal service for each customer. With a Sturdi-built Greenhouse you get a quality product as well as the support to give you years of gardening enjoyment. Kraft Screens has been servicing Residential and Commercial customers throughout the greater Portland, Vancouver, and Salem areas since 1995. Kraft Screens is a complete full service screening company specializing is replacing and repairing screens. At Aosom, (pronounced "awesome", as in “The Bike Trailer I got from Aosom was awesome!”), we offer a wide range of quality, cost-effective products from categories such as Biking, Fitness, Home Goods, Massage Equipment, Backyard Products, Pet Products and more! Our Customer Service Department is open Monday to Friday from 8:30 am PST to 5:00pm PST to serve you! So if you have any questions, comments, suggestions or just want to tell us how great our products are, give us a call at 1-877-644-9366, or send an email to customerservice@aosom.com. A locally owned family run business since 1891, today Pike Awning Co. is run by brothers Dan and Ken Spearing. Providing an unmatched level of awning expertise, Dan is the only IFAI Certified Master Craftsman in Oregon and Ken brings an extensive background in engineering. Behind them is an amazing and dedicated group of employees who average over 15 years of service with the company. For over 125 years, Pike Awning Co. has led the industry in custom canvas products and is recognized as the premiere awning manufacturer in the Northwest. An awning by Pike can give your home that decorative appeal you’ve been looking for, sun or rain protection, or just a touch of individuality. Whatever the reason, or whatever the budget, our sales people can design the perfect solution to your problems. Our business began in the fall of 2011 with humble beginnings, but we hope to grow into a recognized leader in the decking industry here in the great state of Oregon. Our goal is to be Oregon’s premier decking contractor by keeping in mind that we build decks for the people that buy them. We care about the families and the homes we work at by respecting each of them as if it were our own. Decking Solutions LLC is committed to not just building the highest quality decks, but building long-lasting relationships with our customers. Decking Solutions LLC was started by Dustin & Daisy Boleyn because of the absence of a true leader in the specialty decking industry here in the Portland Metro Area. Dustin has spent the last ten years working in the decking industry right here in the Northwest familiarizing himself with all the products, techniques, and experiences necessary to operate a thriving small construction business. He began his work with Dwight Reicks General Construction in Aloha during the late 1990’s. He then moved to an emerging small decking contractor with Custom Decking by Rocky’s Construction before finally landing at Decking Northwest Inc. in the fall of 2003. It was there at Decking Northwest that he learned the “meat” of the decking industry from a remarkable business owner. And he helped build into the “Best Decking Company in Portland” until they closed late in 2010. Daisy has spent the last seven years in the accounting department at Mitchel, Lewis, & Staver, a pump wholesale company, after graduating from Western Business College. It’s with her dedication and belief that this company grew from an idea into reality. Together they have a son, Noah, and two determined basset hounds. Busy B’s is family owned and operated, formed in 1986 by Duane L Brumfiel and his two sons Triston and Duane jr, Though the boys objected to the name, it has become one of the most recognizable contractor names in the area. (you should call us just to hear our message) The company is license as a general contractor and has done everything from landscaping to roofing but has always preferred to build decks and deck related projects. We lost Duane in 2009 but the family tradition continues thru his grandsons, who are now the newest generation of Busy B’s. Our company goal is to provide quality craftsmanship, quality products, excellent costumer service and on building a relationship with our clients before, during and after your project is finished. We take pride in providing our clients with the latest available decking products, unique designs and competitive prices. All of our projects are constructed to meet or exceed local building codes. We stand behind our work with a 5 year labor warranty and we are certified installers for most major decking manufactures. We deeply value our customers satisfaction, after all, our growth depends on it. What services do deck and patio builders in La Center, WA provide? To help you choose the ideal style, configuration and materials for your deck or patio, your deck and patio contractor will survey your La Center, WA lot and your home to come up with a design that complements your exterior as well as being structurally sound. He or she will recommend sizes, heights and construction materials that suit your lifestyle and climate, as well as explain the best stain or finish options. Additionally, deck and patio professionals can provide insight into additional components such as outdoor kitchens, patio covers, fire pits, outdoor lighting, arbors and more. Your deck and patio professional might work closely with another La Center, WA lawn and landscape professional. Here are some related professionals and vendors to complement the work of decks, patios & outdoor enclosures: Landscape Architects & Landscape Designers, Garden & Landscape Supplies, Stone, Pavers & Concrete, Landscape Contractors, Building Supplies. Find a deck and patio builder in La Center, WA on Houzz.